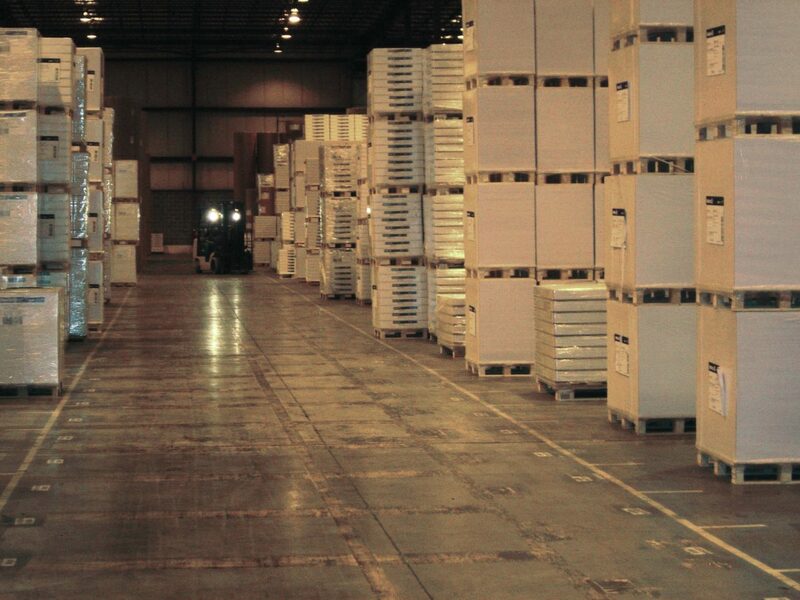 Large open space, high stacks and aisles of pallets on a fixed narrow grid, with a high flow of pallets. Magnets or RFID tags in floor with laser scanner for safety and placement. The magnets/tags present a high placement cost and limited accuracy between stacks of pallets. Accerion fully replaces the magnet grid functionality, removing the install and maintenance cost, and adding higher accuracy to enable closer spacing.